Leg 1 of the Volvo is over, the Rhum fleet screams towards the Caribbean, some Midwest college action, remembering the memories, and much more in this week’s edition of Video Anarchy. it was a different Banque Populaire Maxi that Loick Peyron took to the ultimate record smash, but today’s accomplishment is almost as good; the affable Francais and SA fan is just a few hours from breaking the absolute Route Du Rhum record, more than a hundred miles ahead of the bigger, faster boat he once skippered! Peyron needs to average around 15 knots to break the Lemonchois record (of 7d aboard a boat he was only recruited to sail a couple of months ago, and with Michel Desjoyeaux and Franck Cammas flailing around in their own pursuits lately, Peyron cements his legendary place as today’s king of the Atlantic. The Route Du Rhum thread just keeps getting better and better, especially now that Anarchist “Laurent” is back putting English translations on the best videos from the course like today’s note from Loick; thanks Laurent! The latest page of the thread is here, or read from the beginning here. The last time we got excited about a sailing movie was when Peter Weir brought Patrick O’Brian’s incredible Master and Commander to the big screen with the help of at least one Anarchist rigger. The movie was badass to sailors and mostly well-received by critics, though it never got close to making up the USD$150 million it cost to make – part of the reason we haven’t seen another big budget nautical movie in the intervening decade. But now there’s a new one, and it’s based on the scariest fish story of all time. Heart of the Sea is directed by one of the best of the generation, adapting a spectacular book written by a guy who once won a major Sunfish championship. You can learn more in the thread, but for now, just click “HD” and turn the sound up. This one is worth it. It’s full of clips that any real Volvo fan saw days or weeks ago, isn’t really targeted at knowledgable sailors, and occasionally forgets that it’s telling stories about a race rather than a cruise, but the fourth installment of Volvo’s Life at the Extreme TV series continues to improve on earlier episodes, even if only in fits and starts. If anything, it’s a great show to share with non-sailing squares – students at school or your friends, families, or whomever has shown an inability to really comprehend what you do on Saturdays and Wednesday nights, or why you always have bruises after some of those long weekends. For our part we don’t expect to embed these for you after this one – there’s just better stuff coming from the teams and VOR and we prefer to highlight that. We’re not particularly bullish on cable TV and we don’t expect to get bowled over by the race’s American TV ratings now that NBCSN is running the series, but we’re not at all sure it matters. With over a million Facebook fans and a monster news, social media and video footprint right now, it’s clear the investments they’ve made in staff, one-design boats and communications are paying. The race’s biggest problem is the typical Sailing Anarchy reader, because they need you. It’s your support that keeps interest up between races and it’s yachtie brand-loyalty that sustains interest in this race over the decades. But you know too much, you expect too much, and it’s impossible to keep you happy, which is why we tell everyone that the Ocean Racing Anarchy forum threads are really the best tool to follow the race. 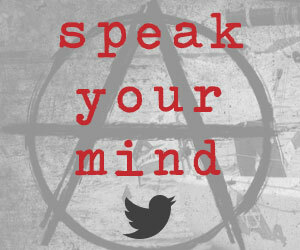 Let the Anarchists curate the information coming out of the boats and race HQ for you, and follow along there yourself. Relive the leg 1 thread here, and be ready for Leg 2 by subscribing to the thread. Check the short Leg 1 review reel here. Those of you coming over to Cape Town for the festivities, the schedule is here. Whitbread skipper, sailmaker, and everyone’s favorite Cork character Joe English died last week, and we salute the Irishman with this short film following Joe and wife April’s journey with the early-onset Alzheimer’s that eventually took his life. If the film (or Joe’s memory) touched your life, consider donating to The Alzheimer Society of Ireland. Thread here. Our friend Sarah Sloan over at the Michigan Sailing Team hits us with a little news from the Big Ten Team Race last week in Ann Arbor; scores and details here, and thanks to U of M sailor Zachary Frankel for the movie. Six months after the Worst Winter Ever and the resulting perpetually froze lake caused the University of Michigan Sailing Team to postpone and reschedule the Big 10 Team Race regatta, six teams from the MCSA came to Ann Arbor to compete for the top prize (in this case, a giant jar of Halloween candy and their name on an impeccably polished trophy). It seemed, however, that everyone drove away Sunday afternoon feeling victorious. UofM isn’t going to name names, but we overheard members of another team claiming they haven’t had as much fun at a regatta as they did at Big Ten since they were freshman. It’s hard to stay upset about your performance on the water when you put your accomplishments in perspective; how many college students can say they got to spend the weekend on the water with the coolest kids across the Midwest?